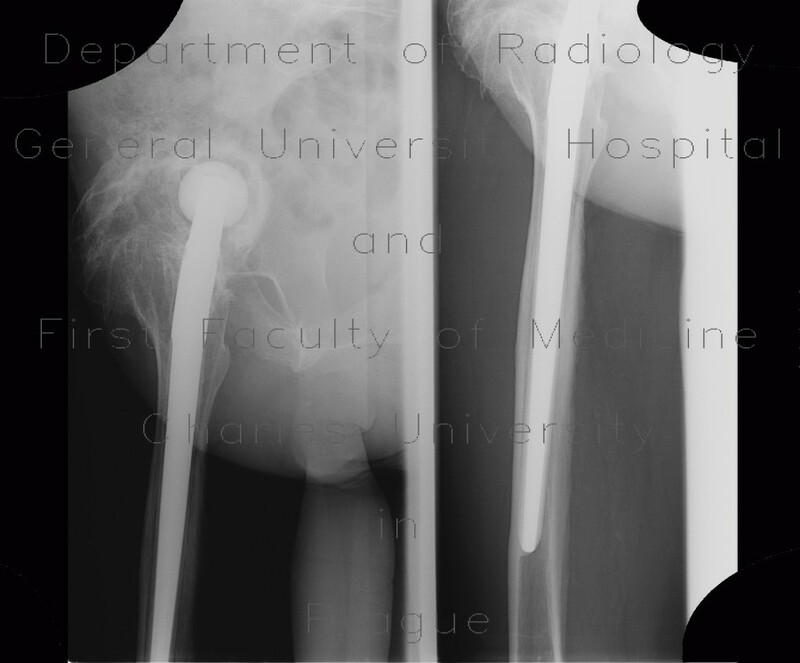 This patient had both hip joints replaced. He developed massive periarticular calcifications, that were limiting movement in the joint. On the left side a false joint (pseudoarthrosis) developed between the shaft with excessive bone formation and the acetabular rim.